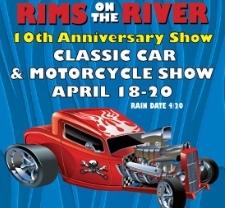 If you’re an afficionado of classic cars and motorcycles you won’t want to miss the 10th anniversary show of Rims on the River. Held the weekend of April 18-20, 2014 in Wilmington, the event is sponsored by the Downtown Wilmington Alliance and Cool Wilmington. Fat Tony’s Italian Pub – 131 N. Front St.
Front Street Brewery – 9 N. Front St.
Hell’s Kitchen – 118 Princess St.
Orton’s – 133 N. Front St.
Ziggy’s By The Sea – 208 Market St.
Saturday, April 19 is the biggest day of the weekend. It’s the Rims On The River 10th Anniversary Classic Car and Motorcycle Show. The show opens to the public at 11 a.m. and lasts until 5 p.m. The award ceremony will be held at 4 p.m. at the main stage located on Princess and N. Water Streets. Don’t miss the Globe of Death motorcycle stunt riders performing at 1:30, 2:30 and 3:30 prior to the award ceremony and free concerts to include Southern Culture On The Skids, The Woogles, The Straight 8’s, and Meteor IV. The Hellzapoppin Circus Sideshow will be performing in between band sets. 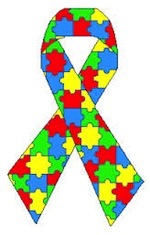 In honor of Autism Awareness Month, the 2014 Oasis School for Autism Poker Run will take place at 10 a.m. on Saturday. Registration begins at 8:30 a.m. at Slainte Downtown Wilmington and is $20. The ride will travel 120 miles and span over 3 counties. Enjoy best Poker Hand, 50 / 50 raffle and Silent Auction! The Easter Run Cruise will begin at 11 a.m. on Sunday, April 20. Meet at the Schwartz Center and join in for a one hour cruise that ends back in downtown Wilmington. When you’re looking for a place to stay be sure to look at Sloane Vacations. We have accommodations that offer comfort and luxury both, and at an affordable price, too.